Archive for the ‘X-ray’ Category. UChicago, my alma mater, is doing alright for itself in the spacecraft naming business. First there was Edwin Hubble (S.B. 1910, Ph.D. 1917). Then came Arthur Compton (the “MetLab”). Followed by Subramanya Chandrasekhar (Morton D. Hull Distinguished Service Professor of Theoretical Astrophysics). spectra using a function called “fakeit”. spectrum given the instrument calibration files (RMF/ARF) and the Poisson noise. the best fit parameter values for NH, photon index and normalization. 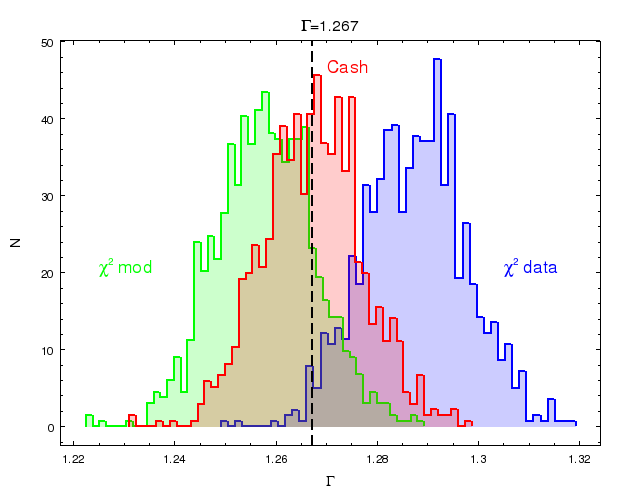 chi2 model variance and Cash/C-statistics. underestimates the simulated value, chi2 data variance overestimates this parameter. simulations 1.267 is marked with the solid line.